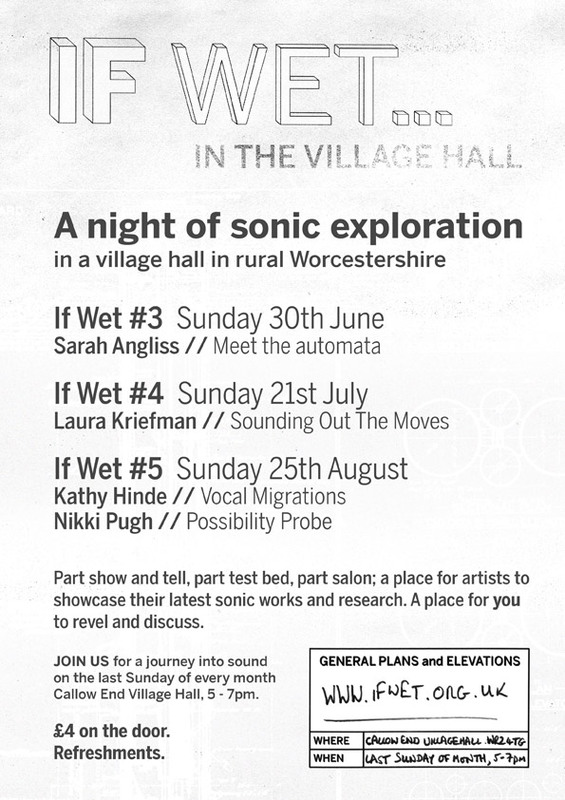 If Wet is a brand new venture: a night of sonic exploration in a village hall in rural Worcestershire. Curated by sound artists Sam Underwood and David Morton, this informal evening event is part salon, part test bed. 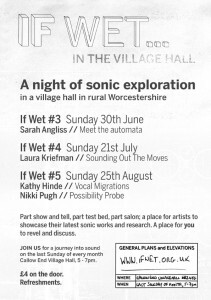 On Sunday 30 June, I’ll be presenting some of my musical hacks and automata. I’ll also bring along one or two items that are very much ‘work in progress’. Should be a hoot!